Airbus is mulling offering OneWeb-supported inflight connectivity on its airliners, including in the cockpit, company CEO Tom Enders confirmed during a media briefing this week in Mobile, Alabama, where the airframer broke ground on its new A220 assembly line. “Yes indeed, we are considering that. We are discussing that internally,” answered Enders when asked by Runway Girl Network if Airbus would offer OneWeb inflight connectivity on commercial aircraft, and break what will be an Inmarsat/Iridium satcom duopoly in the cockpit. It would be a natural progression of a relationship that began nearly four years ago. In 2015, OneWeb announced the formation of a joint venture with Airbus Defence and Space as the design and manufacturing partner for its fleet of low earth orbit (LEO) satellites. Initial OneWeb satellites – the size of wine coolers – were constructed in Toulouse but Airbus Defence and Space has also opened a new satellite manufacturing facility near the Kennedy Space Center in Florida to produce two satellites per day to support a constellation of 600 or so satellites (representing a scaled back version of OneWeb’s original 900-satellite plan). The last release from OneWeb was in the 650s, said Airbus head of US space programs Tim Deaver during an earlier media briefing in Mirabel. Deaver suggested that the satellites were “designed so well” they performed better than expected, affording OneWeb the ability to take fewer satellites and still accomplish its goal of global coverage. If OneWeb is a success, it “looks good for us”, he noted. An initial batch of prototype satellites are scheduled to launch on 19 February on an Arianespace Soyez rocket mission in French Guiana. Separately but notably, in 2018, OneWeb and Airbus teamed with Delta Air Lines, US telco Sprint and India’s largest mobile network, Airtel, to form the Seamless Air Airlines, which aims “to enable passengers to use their connected devices in a seamless way” ensuring that they can connect without login or credit cards as enabled by their current mobile operators. In the alliance’s view, a 5G connected passenger experience requires standards that can be adopted industry-wide, and members’ work is now well underway. Cross-pollination in other aspects of the alliance is logical. “It’s not like connectivity is an option. Connectivity has to come for passengers on board, for the aircraft itself, so yes, OneWeb is one possibility here and we’re looking into that internally,” said Enders. Inmarsat has long been the dominant provider of satellite-based cockpit communications and safety services in the cockpit. Its services are linefit offerable on Airbus and Boeing aircraft. Iridium satcom can also be found on many aircraft, including in China, but its new Certus service over Iridium NEXT satellites will more widely support cockpit communications on commercial aircraft – including on the Boeing 777X – as well as cabin connectivity on business aircraft. Certus is expected to receive European Aviation Safety Agency (EASA) approval in the second quarter of this year, CEO Matt Desch said during a recent press conference. 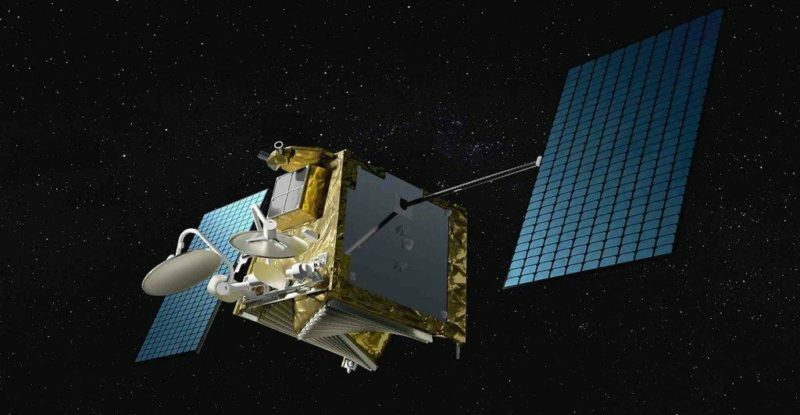 Iridium previously suggested it doesn’t see OneWeb as a near-term threat, noting that the best-laid satellite plans usually move to the right, and the process of obtaining approval for safety services is lengthy. Even so, if Airbus decides to throw its weight behind OneWeb for commercial aircraft in any sort of meaningful fashion, it will bring competition to the market. Shared network scenarios involving LEOs and GEOs are also envisaged by various industry stakeholders. See the exchange between RGN and Airbus during the briefing in Mobile, courtesy of AirInsight.